LOL! Glad you like it, man. Thanks, it may be a bit for the final project, but after I reply to you guys, I'm tossing up some more WIP shots (and I've done more work on it that I need to snap some shots of soon). Glad you like it, man! 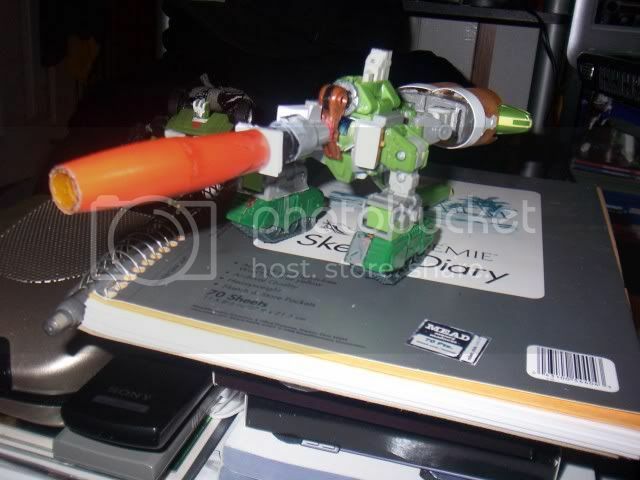 No LED in the cannon--I'm pretty straight-forward with my work.....If it can't be built from existing bots/parts or styrene, I don't bother. In other words, no gimmicks here.....just good old fashioned kitbashing. I saw that recently and I really like what he did! I still need to comment on that (been crazy lately due to the loss of a family member). Thanks, man! Glad you guys like it so far. 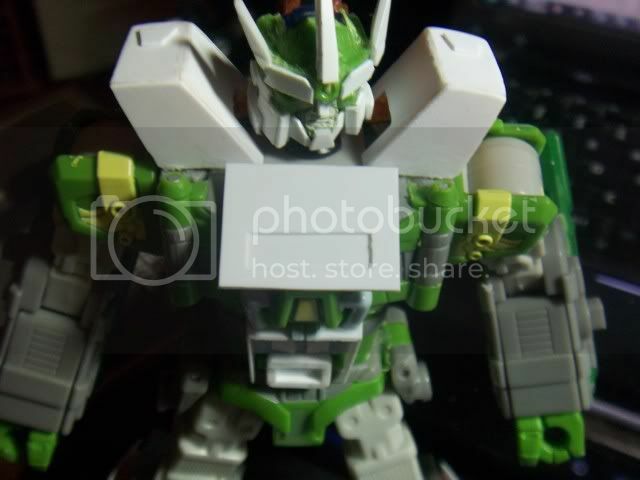 New WIP shots........I cut down the shoulders from an Energon Sharkticon to form the shape of Galvatron's shoulder pods (or whatever you call 'em). I then covered all but the outsides with thin sheet styrene and sanded it down around the edges. I glued those in place and cut small pieces to add to the top (for more texture and to look more like some of the G1 Galvatron art out there). These are locked in place and do not move during transformation. 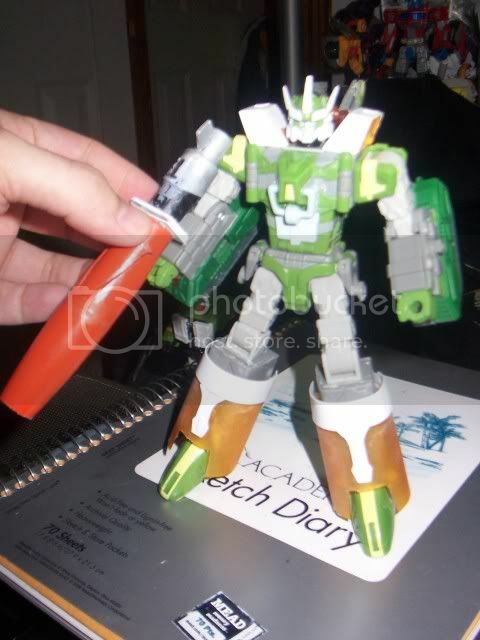 I also added some thin styrene sheet strips to the top of the lower legs and added some minor detail to the shins. 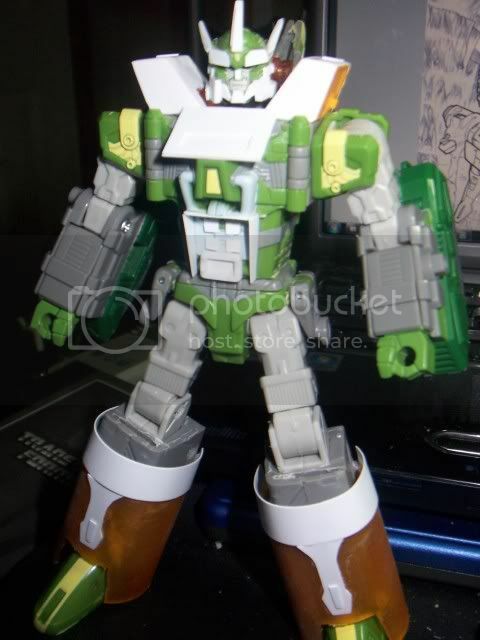 I plan to do more styrene work on the legs. 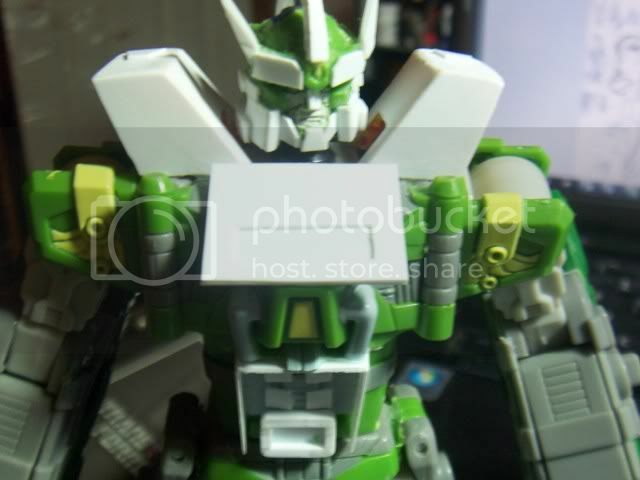 I added a small Neo Shifters connector to the upper back in bot mode. 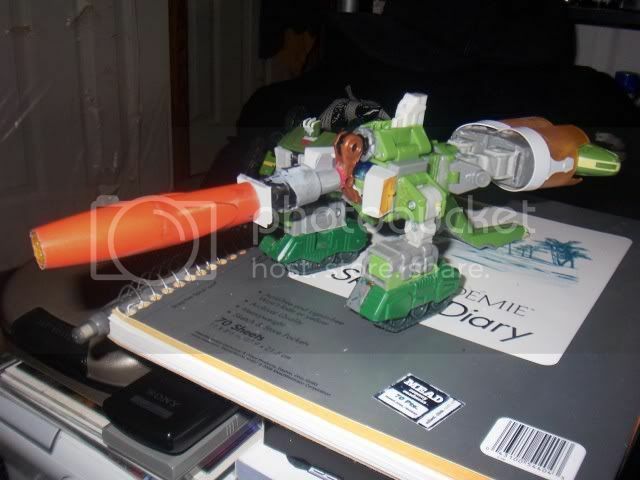 This piece flips down in alt mode and has a peg that Galvatron's arm cannon pegs right into. 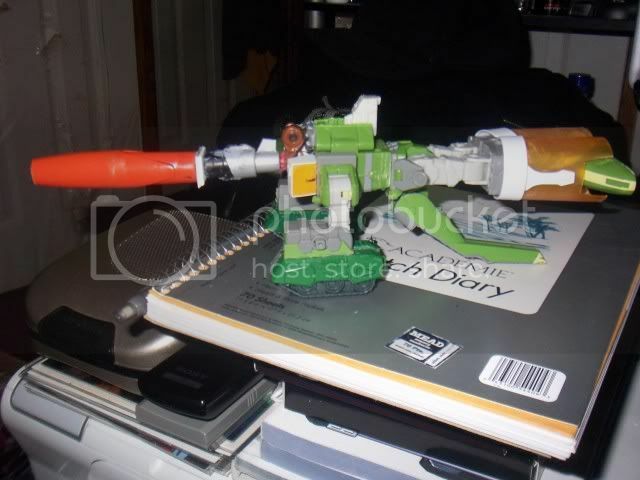 I tore apart my previous Galvatron custom cannon (which was the original G1 barrel, the back end of a large ink pen and lots of styrene). I and in the process of building it better, which is why it looks a little naked here. The tripod "tail" underneath the alt mode will also get a bit of work done to it. I'm planning to build up on it a bit with some styrene (and putty, if needed). 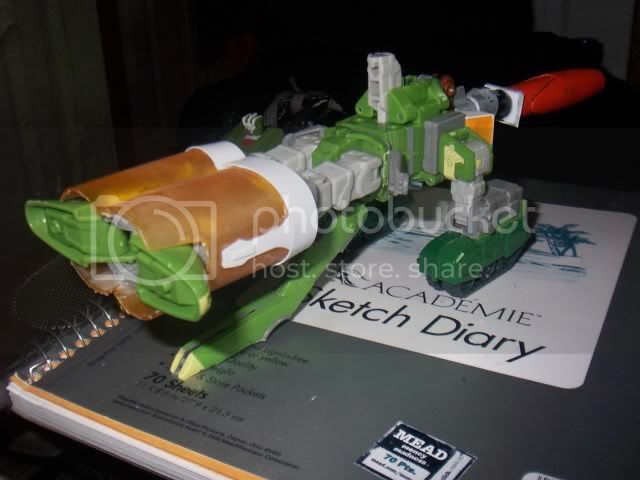 The crosshairs-type piece that is sticking up on top of the alt mode, slides up and folds down in bot mode to reveal the head. I cut grooves into the inner part of the shoulder pods to allow the head to slide in and out of the chest cavity. I'll hopefully have more updates on this soon. I'm hoping to work a bit more on it later tonight. For now, I'm out (need some sleep). That's just so... so... great looking! Keep it up, bud! 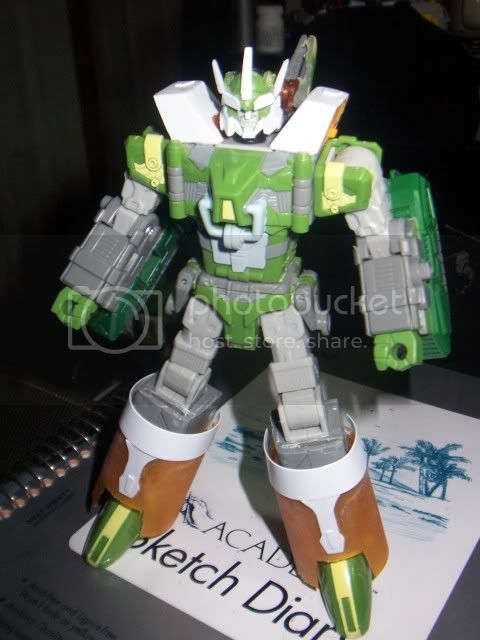 That is one wicked head scupt and alt mode. This looks really great! Nice work! OMG...that is absolutely awesome. I can't wait to see how this turns out!!! Wow! Looks great. I wish I have one of these! Thanks, guys! Still working hard on this sucker. Here are a few more WIP shots. Still working on the chest right now.....should have more pics up tomorrow sometime.